The murder of director William Desmond Taylor in 1922 was one of the biggest scandals ever to hit old Hollywood. The ensuing investigation uncovered corruption and debauchery that rocked the film industry and shocked the movie-going public. Taylor's murder, which remains unsolved to this day, still resonated with the public decades later when director Billy Wilder used it as an inspiration for his dark Hollywood satire Sunset Boulevard (1950). 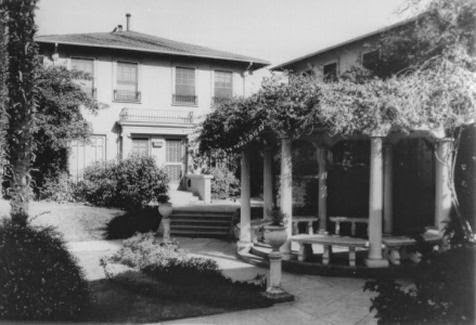 On the morning of Feb. 2, 1922, there was a chaotic scene inside the Alvarado Court Apartments in the trendy Los Angeles neighborhood of Westlake Park. Silent film director William Desmond Taylor had been found dead in his apartment, lying face down on the carpet. A cursory examination revealed that Taylor had died of stomach hemorrhage. Only sometime later was it established that Taylor had a good reason to be hemorrhaging: He had been shot in the back by an unknown assailant. The Alvarado Court Apartments where William Desmond Taylor was murdered. More than 90 years later, Taylor's murder is still one of the most juicy crimes in the scandal-ridden silent film industry. An entire industry of books, newsletters and Web sites has arisen around the still unsolved murder. There are dozens of suspects and literally hundreds of theories about what happened on the fateful night of Feb. 2. This article will deal with the basic facts of the case and its inspiration for Wilder and Sunset Boulevard. 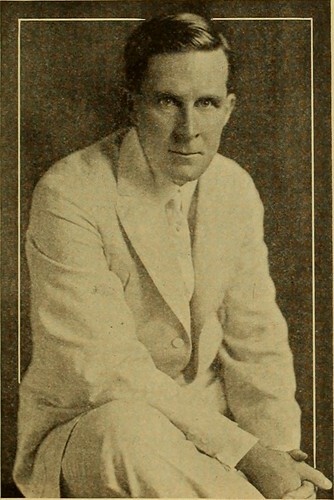 William Desmond Taylor acted in silent films before becoming a director. 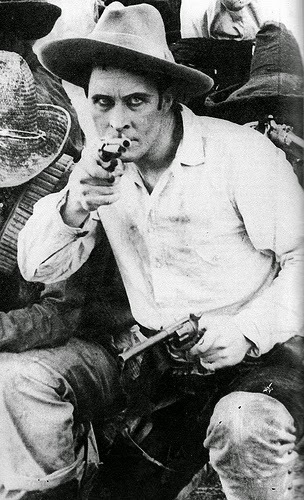 Like many who worked in the silent film industry, Taylor was something of an oddball. Taylor was born William Dean Tanner on April 26, 1872, in County Carlow, Ireland. He came to America in 1890, eventually settling in New York and becoming a successful antiques dealer. He walked out on his family and antiques business in 1908 to take up gold-mining in the Klondike. He resurfaced in Hollywood five years later as William Desmond Taylor and began his new life as one of the leading directors in silent films. 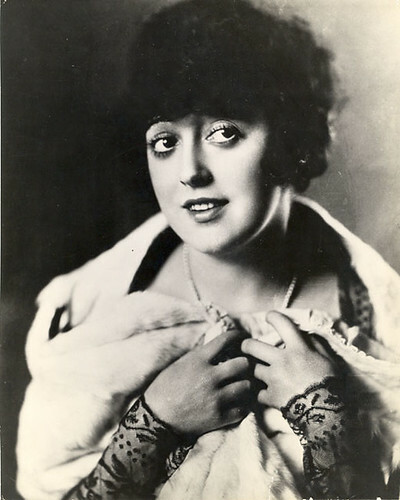 Taylor directed films starring many top actresses including Mary Pickford (she later remembered him as "a very charming man who directed me in three very bad pictures"), but his favorite star of all was the comedienne Mabel Normand. 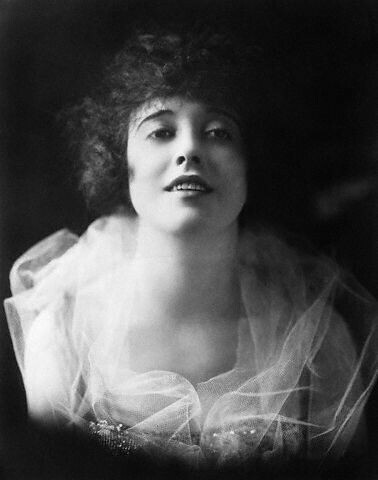 Today, Normand is mostly remembered for her untimely death at age 37 from her many, many addictions, but she was a very gifted actress who deserves a place next to Charlie Chaplin, Buster Keaton and Harold Lloyd as one of the leading lights of silent comedy. Taylor and Normand's relationship has been the subject of much speculation through the years. Taylor had a portrait of Normand inside his pocketwatch at the time of his death, and, to the never-ending delight of the tabloids, intimate letters between the two were found. Whatever the true nature of their friendship, the fact remains that Normand was the last person to see Taylor alive. Normand stopped by her old friend's bungalow on the evening of Feb. 1. Taylor had asked her to dinner, but Normand, in one of the letters later published by the tabloids, jokingly rebuffed him, saying she was dining instead with a "Hindoo prince." Taylor was last seen on the front steps of his bungalow at 7:45 p.m., blowing kisses to Normand as she drove away in her chauffeured car. About 15 minutes later, Taylor's neighbor, Faith MacLean heard what she thought was a car backfiring outside the apartment complex. She looked out her window and saw someone coming out of Taylor's front door dressed like a "motion-picture burglar" with a long coat and muffler and plaid cap pulled down over his or her face (MacLean could never determine if the person was a man or woman). The burglar paused on the steps a moment and then returned inside. A few minutes later, the burglar came back outside, flashed a smile at MacLean and disappeared into the night. 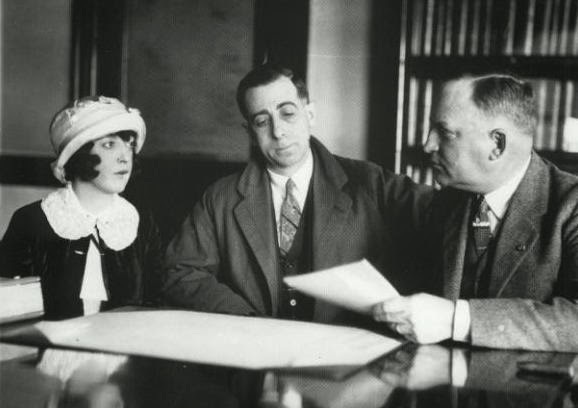 Mabel Normand being questioned by authorities in the William Desmond Taylor murder. A mob scene broke out in Taylor's bungalow the following morning after his valet discovered the body. Reporters, neighbors and curiosity seekers all milled around the crime scene before police even arrived. It is widely believed that several Paramount Pictures executives visited the apartment and removed some potentially embarrassing or incriminating items. Los Angeles police never arrested anyone for Taylor's murder, despite having a bevy of prime suspects who were right out of central casting. There was Taylor's former valet, Edward Sands, who had several aliases and multiple convictions for forgery and embezzlement and who had actually broken into Taylor's bungalow. There was local crime boss Blackie Madsen, who may have been blackmailing Taylor at the time of his death (Taylor may have been involved with illegal drugs or he may have been gay, which would have been taboo during that time period). The most publicized suspects were child star Mary Miles Minter and her domineering stage mother, Charlotte Shelby, mostly because their colorful behavior was a gift from Heaven for the scandal rags. Minter,17, had a crush on Taylor and she wrote him several deeply embarrassing love letters, some of them were in a childish code, that were published by the tabloids. 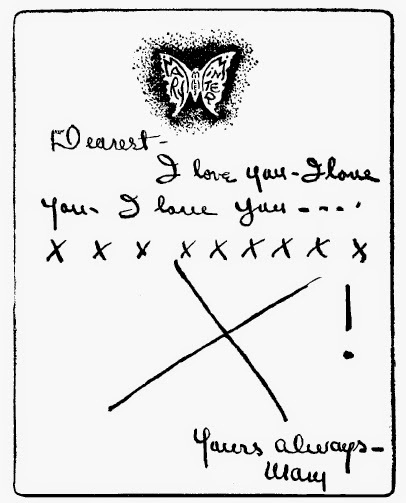 One of Mary Miles Minter's love letters to William Desmond Taylor. The Taylor scandal continued to generate interest through the decades. Billy Wilder enjoyed following the silent films scandals as a young man and it is believed that he deliberately chose the last name Desmond when he was looking for an appropriate name for the murderous silent film actress in Sunset Boulevard (The Norma is probably for actress Norma Tallmadge, who lived in reclusive retirement after her stardom faded). Sunset Boulevard is not a re-telling of the Taylor murder, although Taylor, just like screenwriter Joe Gillis, was shot in the back by a small-caliber pistol. Instead, Sunset Boulevard faithfully recreates the circus atmosphere that surrounded the Taylor murder. The final scene, where a now completely insane Norma descends a grand staircase while a bevy of newsreel cameras roll, is very similar to the publicity that the Taylor murder received.